When I was designing The Nope! Quilt for our challenge, I knew that although I was designing for a solid panel in the middle of the quilt, I really wanted to see a version with a print fabric in the middle. Granted, the real reason for that was to minimize the need for Super Fancy quilting like I did with the challenge fabric. Generally I’m not a fan of marking anything, and all the “no” signs required a lot of marking. Because I am frequently a lazy quilter- that is, one who makes shortcuts to get things done – I thought a print in the middle was the perfect solution. That also means that two of the borders would also be print, so in the classic “sew fast and take chances” method, I just started cutting and sewing. The print fabric comes from the Hand Maker line by Natalie Barnes for Windham Fabrics, available in local Atlanta from Red Hen Fabrics. 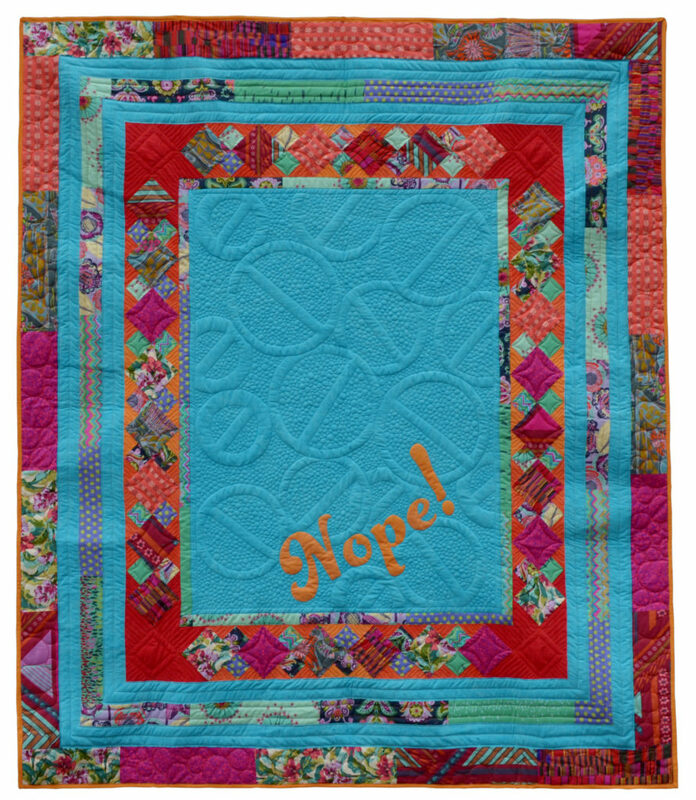 That’s where this sample is currently residing, too, along with print copies of the pattern for The Nope! Quilt. The center panel is sized such that a fabric panel could work in that space, too, if you eliminate the Nope! words, but I made a concerted effort a few years ago to use up my panels so I don’t have any to test it on to make another sample. 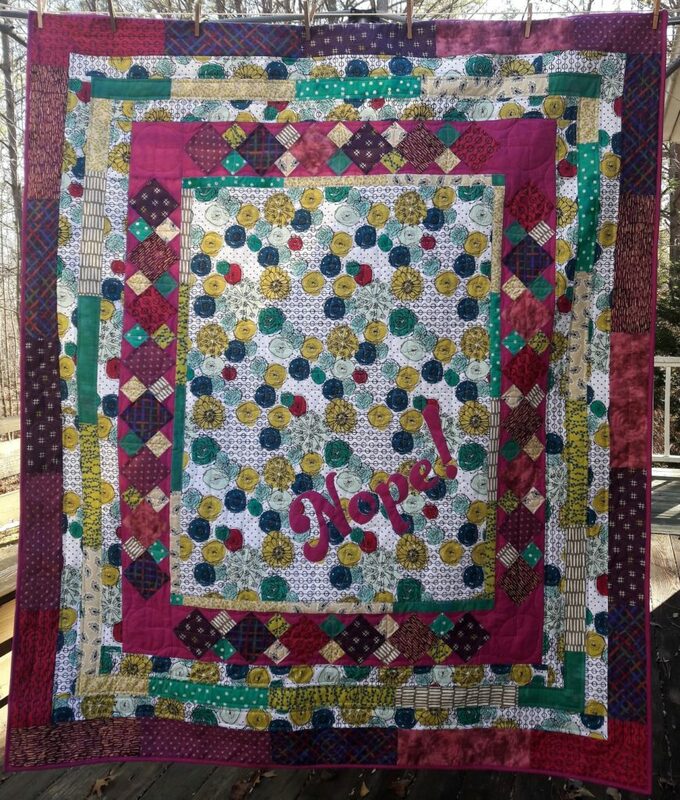 Absolutely enjoyed your quilt. Well done on many levels. Thanks for sharing. I love them both. Beautiful colors. The nope idear I think will work for me this year to. Thank you for the inspiration.